At BUR-HAN Garden & Lawn Care, we provide friendly, professional, dependable service in order to give you the best results! 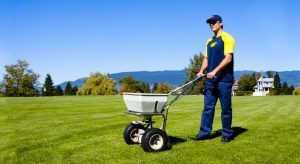 We have developed our own blend of lawn fertilizers that are uniquely tailored to West Vancouver’s wet coastal climate. We apply them at five different times over the year to optimize the health of your lawn. 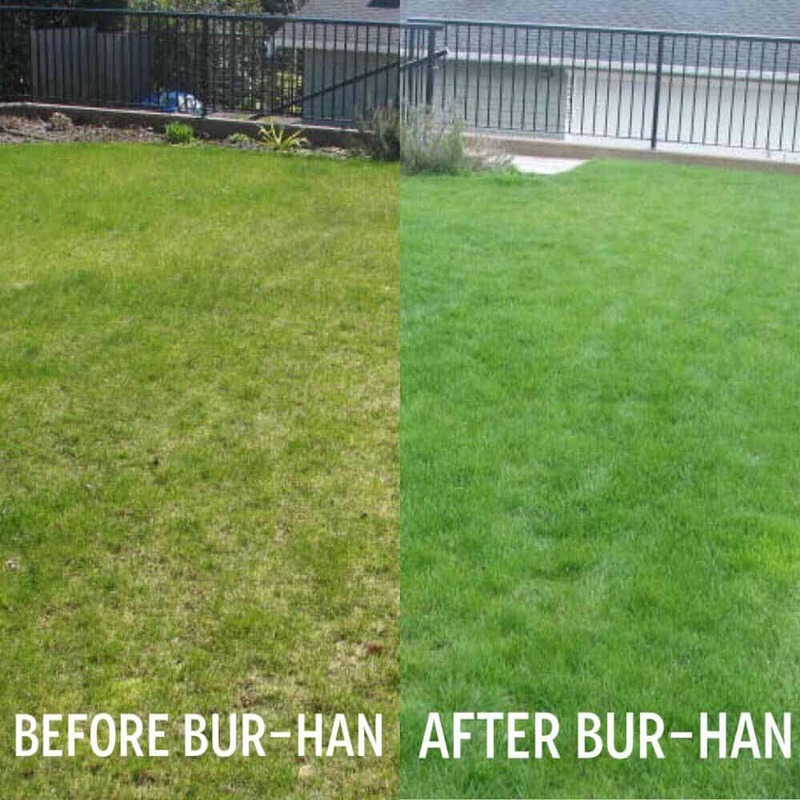 Here is a before an after photo after only one year of BUR-HAN Lawn Care Services. Lawn fertilization is important because your lawn needs fertilization just as much as it needs sunshine and water. Grass needs these things to be healthy and green but don’t forget to feed it too! Fertilizer replaces and replenishes all the essentials in order to give your lawn a great look. Our spring and summer lawn fertilizers provide your grass with essential nutrients for each part of the season. Our standard lawn fertilizer is a slow-release polymer coated fertilizer with micro nutrients. Our fall winterizer is a low nitrogen high potassium fertilizer that will help the grass thicken its cell walls, harden off and store food for over the winter. We also provide certified Organic slow-release fertilizers to our clients. All of our lawn care products are environmentally friendly and completely safe for kids and pets so you don’t need to worry when you use BUR-HAN for your fertilizer or other applications. This has always been of upmost importance to us so please do not hesitate to call if you have any additional questions as our knowledgeable office staff would be happy to assist you. By keeping seasonality in mind, the BUR-HAN Team always applies the right type of lawn fertilizer to the appropriate size of lawn that we are maintaining. This is essential to ensure that your lawn gets the right amount of nutrients no matter what month of the year it is. For best results, we recommend fertilizing your lawn twice in the spring, twice in the summer and once in the fall. Products will differ from spring and summer with the most different NPK (nitrogen, phosphorus and potassium) makeup being in fall – as the goal of this final fertilization application is to help your lawn store food for over the winter when there is no active growth and it may not be getting the nutrients it needs. The most important application you can possibly do for your lawn is Fertilization. Regular Lawn Cutting on a weekly basis at a height of 2.5”. This will help promote strong root development and help protect your lawn from invasive weeds/chafer beetles. The thicker and stronger the root system, the less vulnerable it will be to attack. Fertilize. Fertilize. Fertilize. Regular, consistent fertilization throughout the season will ensure that your lawn is provided with all the nutrients it needs in order to stay healthy and strong throughout the season. Above all other lawn care applications such as deep core aeration, moss control, limestone, etc this is the most important. Feel free to contact us for more info about our lawn fertilizer service. Our team would love to help you select the proper fertilization package for your lawn and garden.